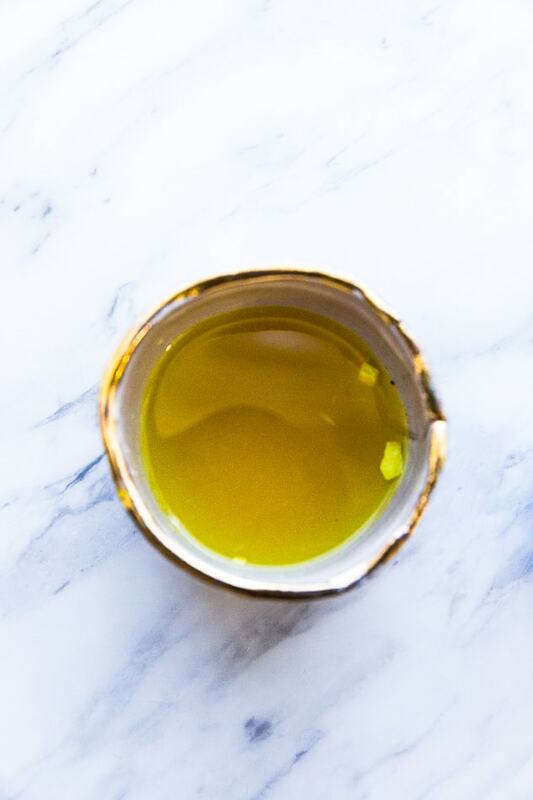 This recipe for my family’s trusty immune boosting shot is sure to give you a boost of energy and help keep your immune system healthy and strong. Combine these powerful immune system boosting ingredients together to give your body strength this cold and flu season. 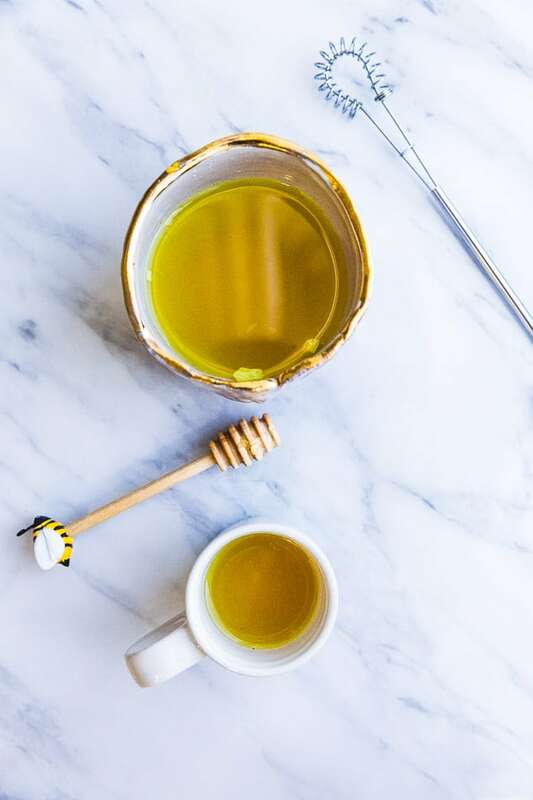 Cold season is here in full swing and one way to help keep you staying healthy and speed up the healing process is by making your own immunity boosting shots. My mom has been making us some sort of immunity boosting shot ever since my brothers and I were little. And now, I make my own version for my kids when they are coming down with a cold. What I love about this immune boosting drink is that it only contains 6 ingredients which are all easy to find. You can use this formula year-round for an easy and natural immunity boost. 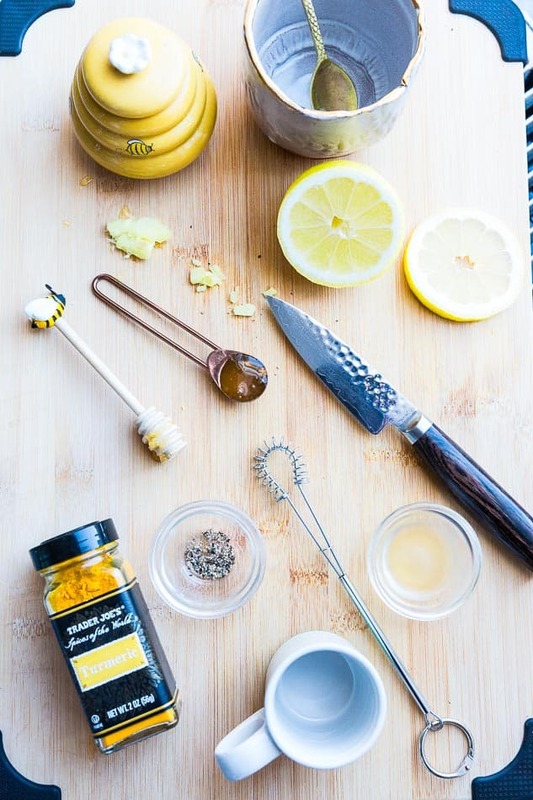 This recipe contains powerful ingredients that work together to boost your immune system. It is also alcohol-free, paleo-friendly and is really easy to make. And the great thing about this simple recipe is that it makes 4 shots which is enough for the whole family. Or you can make a smaller batch for just by cutting back on the ingredients. We make these healthy cold buster shots every day whenever there is something going around our kids’ school or when they feel like they are coming down with something. It helps to build up vitamins and minerals in your body while you are sick or to prevent illness. To make the cold buster concoction, start by adding warm water to a large glass bowl or measuring cup. Add honey and mix with a whisk until dissolved. Add the grated ginger along and use a hand-held citrus juicer to squeeze in lemon juice. Sprinkle in turmeric and black pepper. Adjust the honey to taste. This recipe makes 4 shots. Raw honey is unheated, unpasteurized, and unprocessed. It will contain bee pollen and propolis, which are very good for you. Bee pollen contains tons of vitamins and propolis is immune-system boosting. Turmeric is high in Fiber, Manganese, Vitamin B6, and Iron and also anti-inflammatory. A dash of black pepper is essential to activate the effects of turmeric. Ginger helps to reduce nausea, boost the immune system and has antimicrobial effects that can help fight off bacteria and may help reduce the risk of respiratory infections. Organic apple cider vinegar (make sure it contains the “mother”) can help to boost your immune system because of its antiviral properties. ACV can improve the overall growth of healthy bacteria in your gut, which is a huge factor in a healthy immune system. 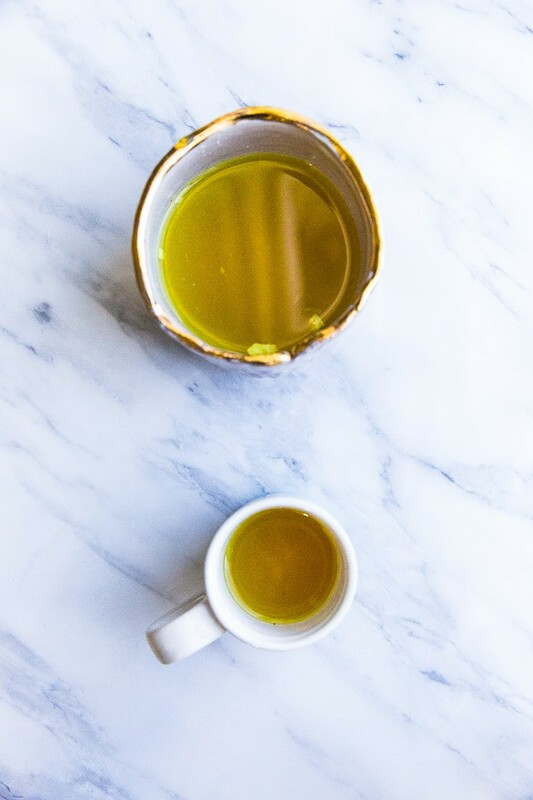 This recipe for my family's trusty immune boosting shot is sure to give you a boost of energy and help keep your immune system healthy and strong. 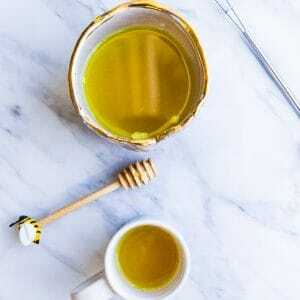 Combine these powerful immune system boosting ingredients together to give your body strength this cold and flu season. Add warm water to a large glass bowl or measuring cup. Add honey and mix with a whisk until dissolved. Add the grated ginger and apple cider vinegar. Use a hand-held citrus juicer to squeeze in lemon juice. Add a tiny pinch of turmeric (about 1/8 tsp) and black pepper (about 1/16 tsp). Taste and add more honey if desired. *This recipe makes 4 shots.